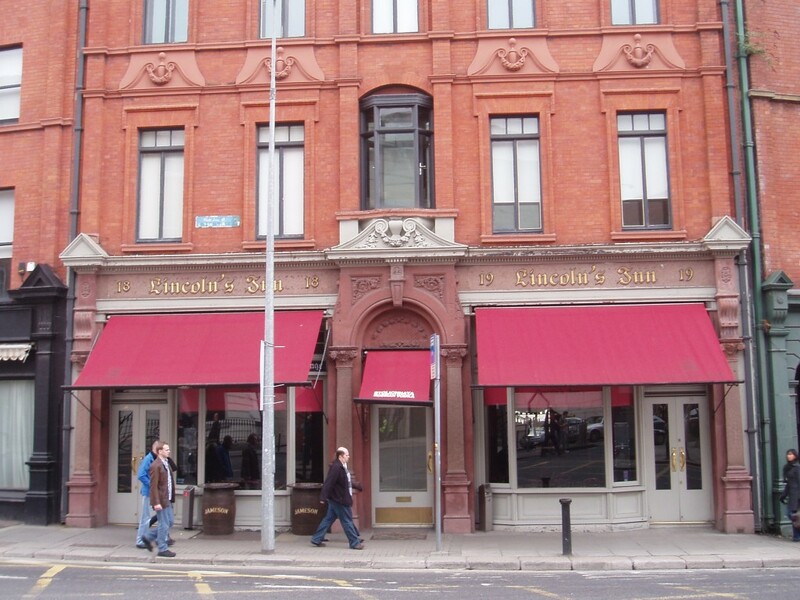 Going through any archive related to Dublin pubs, you begin to realise that there are a huge amount of buildings around the city that were once used as pubs at one time or another, only to be refurbished and changed to suit another use. The reverse is also quite true, with many of today’s Dublin pubs having interesting past lives, their buildings having served many other purposes over the years. Here we’re going to take a brief look at what some of these pubs were once used as. If you know fo any other pubs with past lives, please send them in to us and we’ll include them in the article. 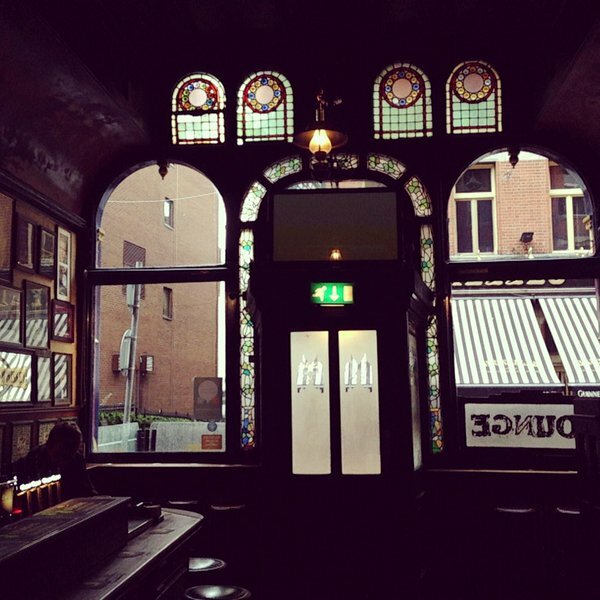 The Church bar on Jervis Street is the most obvious example of a pub with a past life. It’s construction was finished in 1702 and from then until 1986 was a functioning Protestant church on the North side of the city. 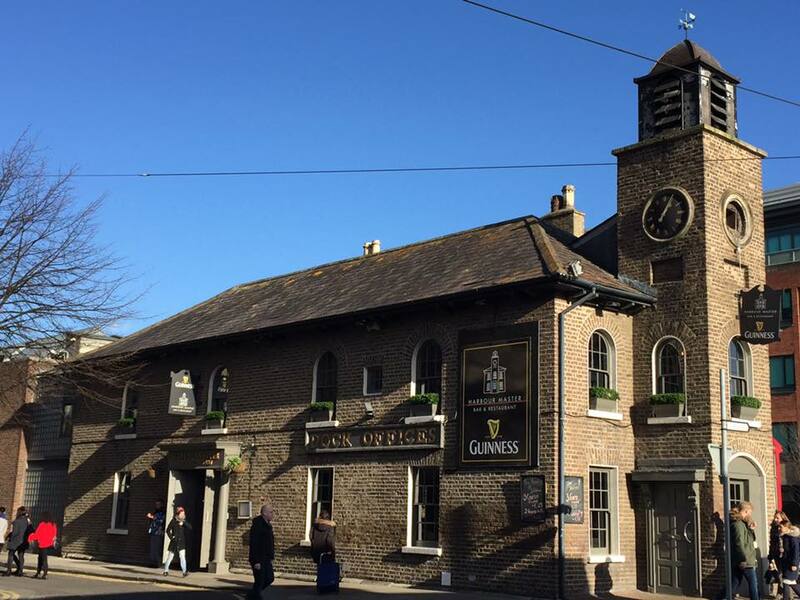 It was here that Arthur Guinness was married and famous Dubliners such as Theobald Wolfe Tone and Sean O’Casey were baptised. There were 25,000 baptisms and 18,000 burials in the nearly 300 years of its existence. It still retains the original organ and all of the stained glass and other fixtures. We have a further analysis of the history of the building in this article. According to John Ryan’s book ‘Remembering How We Stood’, which chronicles the lives of some of Dublin’s greatest literary figures, McDaids on Harry Street was once formerly a Moravian church. 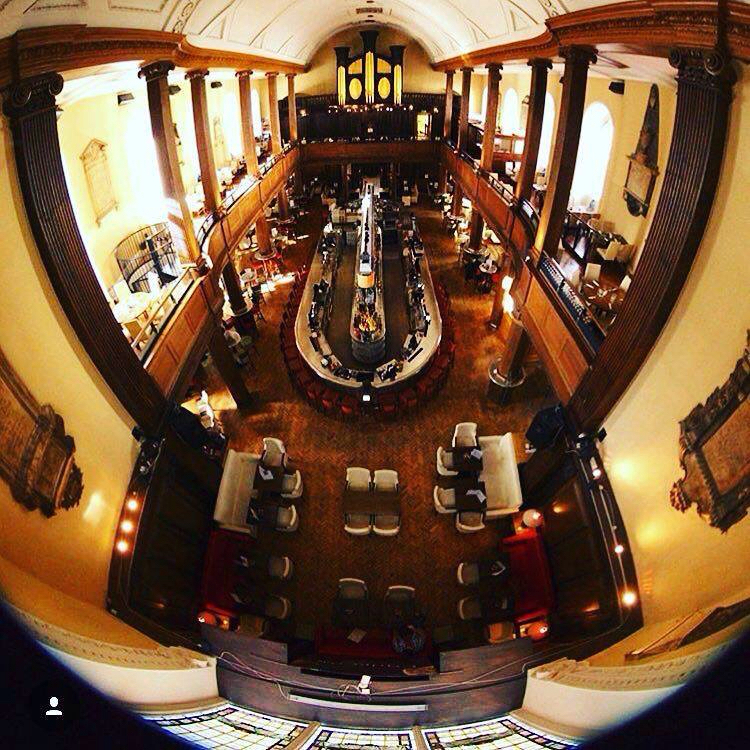 If you walk into the pub, and turn around you’ll notice that the ceiling does curve in and the structure still bears some resemblance to a church, including the stained glass windows. 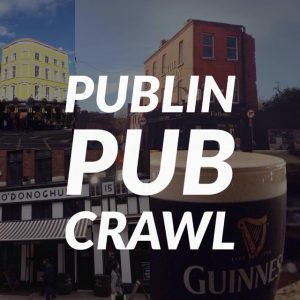 The pub has always been known for its connections to literary Dublin and as a place where Patrick Kavanagh, Brendan Behan, and J.P. Dunleavy among others drank. ‘The pubs’, says Joyce Cary in The Horse’s Mouth, ‘know a lot; almost as much as the churches. They’ve got a tradition.’ which reminds me that there is one pub in Dublin that became a church and one church that became a pub! 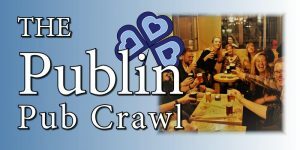 McDaid’s (of all places) used to be a Moravian Church (trust it) while the Church of the Blessed Sacrament in D’Olier Street used to be The Red Bank, pub-come fish bar. 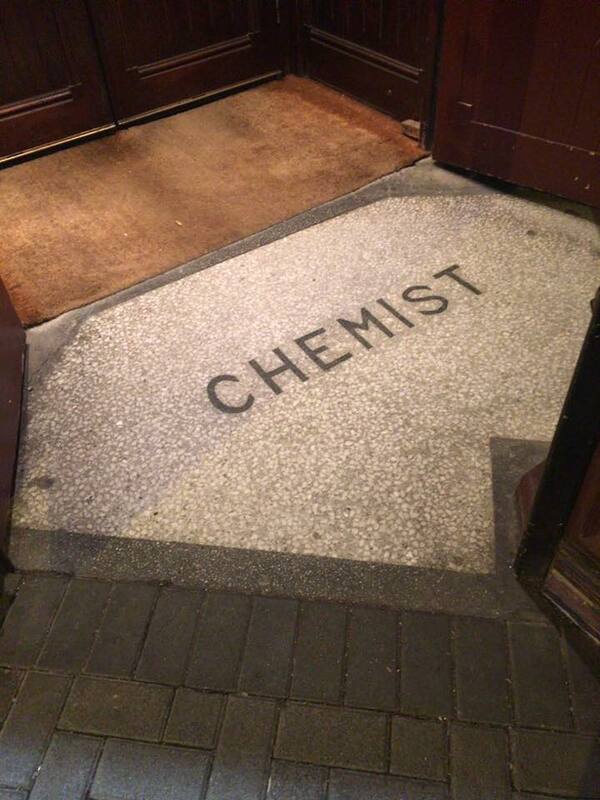 According to the mosaic at the entrance to McSorleys in Ranelagh, the older section of the pub (to the right) was once Brophy’s Chemist. 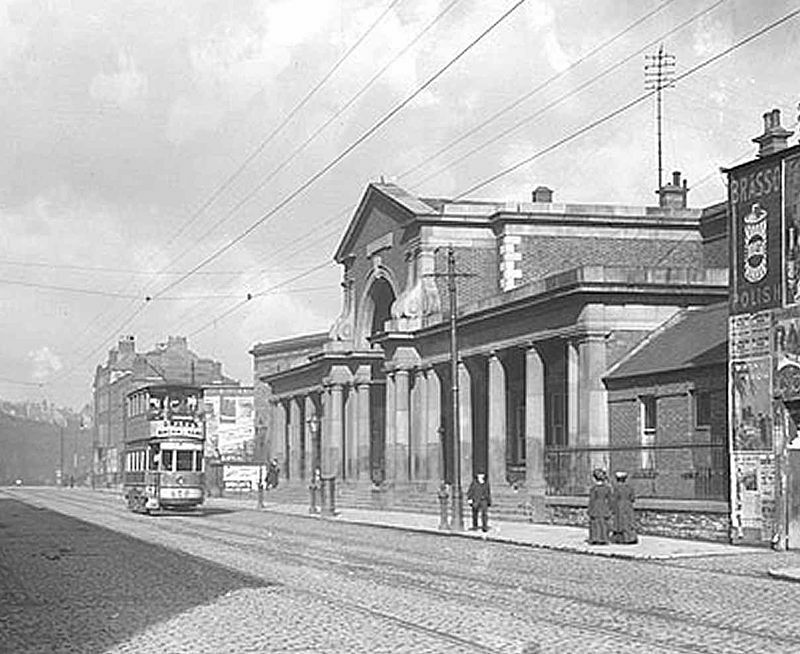 From 1859 to 1958 Harcourt Street railway station was the terminus for the Dublin to Bray line. 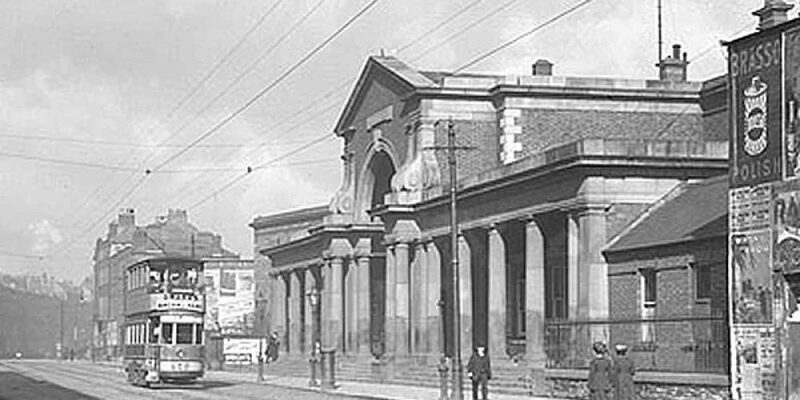 The facade of the railway station is practically the same today as it was then. The most notorious incident to happen at the station was when in 1900 a goods train from Enniscorthy failed to stop and burst through the walls of the station onto Hatch Street. By 1959 the station was no longer in use, as Westland Row station took over most of the services. The rail lines were maintained just in case they ever decided to reopen the line. If you take a look around The Odeon you can kind of piece together how the station may have been laid out when it fulfilled its original purpose. More details can be found on the wikipedia article on the station. The Camden Exchange is one of several pubs in the city to have been a bank. That was the case up until the 1970s and it’s still fairly evident from the exterior of the building (minus the impressive mural). 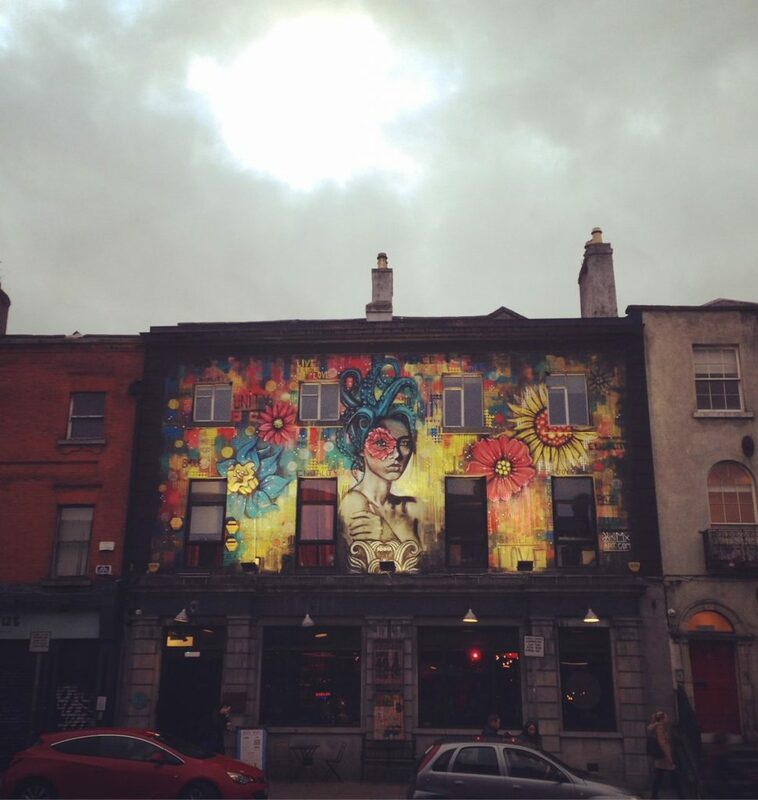 The outside of the pub was also used as the exterior shots of ‘Raw’, a fictitious restaurant in the RTE series of the same name. The Lincoln Inn has quite a large claim to fame in a city known for its celebration of literary connections. 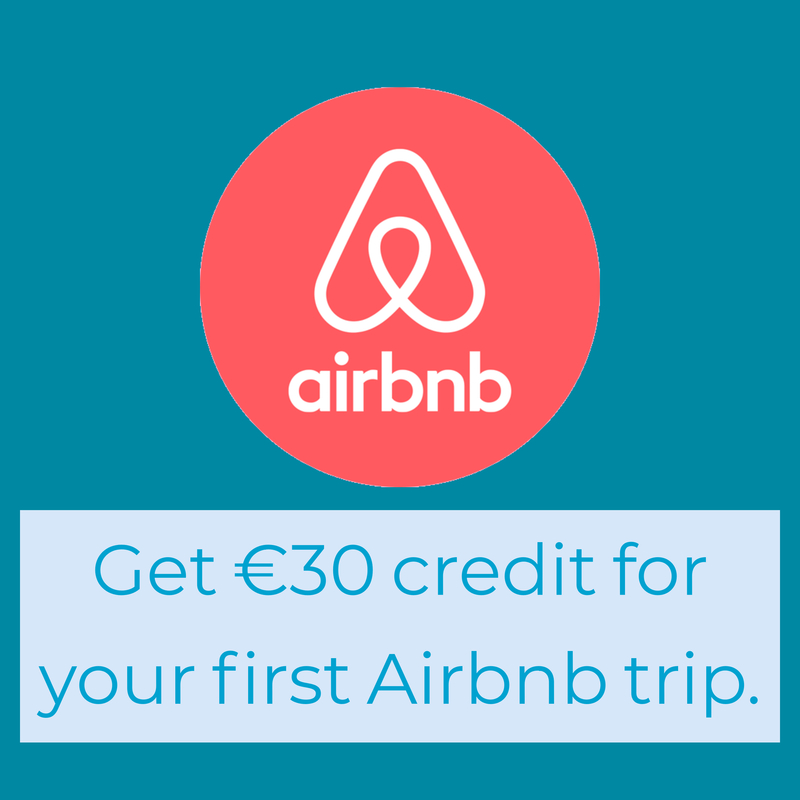 The Lincoln Inn was once part of Finns Hotel on Nassau Street where James Joyce met his wife to-be Nora Barnacle. She worked there as a chamber maid. For further reading, see this article by the Come Here To Me blog. It’s not that the building The Waterloo resides in was once used for a prior purpose, but rather that the building is built on the site of what was Baggotrath Castle. That’s according to owner Mick Quinn who has a keen interest in local history. The castle was built in the 13th century by the Bagod (later Baggot) family. 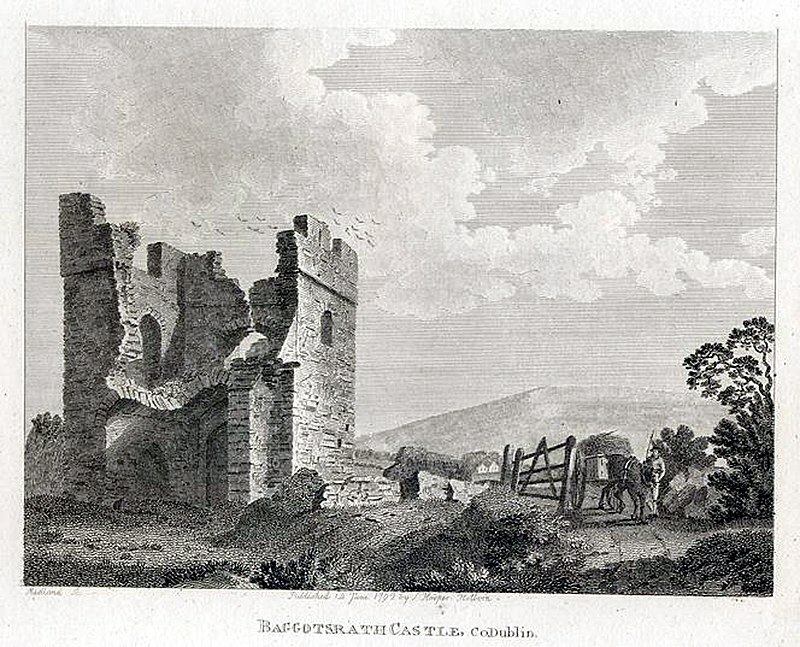 The castle was destroyed in the siege of Dublin in 1649. The ruins of the site existed until the 19th century when they were demolished by Dublin Corporation. 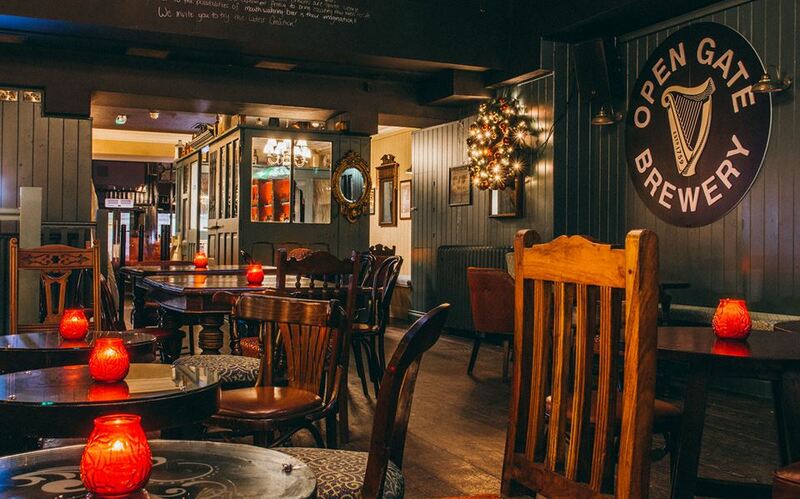 Hely’s is a new bar on Dame Street that is semi-distinct from The Mercantile next door. It’s named after Wisdom Hely, a man who owned a print works on the site. Hely’s was mentioned numerous times in Joyce’s ‘Ulysses’, principally as a place where the protagonist Leopold Bloom was once employed. 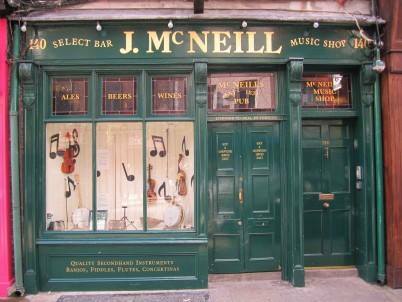 It’s evident from the instruments in the window of this Capel Street pub that J. McNeill’s was once a music shop. It was widely known and was Ireland’s oldest music shop, having been established in 1834. The Bugle that was played at The Charging of The Light Brigade at The Battle of Balaclava during the Crimean War was sold in McNeill’s. Further information can be found on the Come Here To Me blog. We couldn’t find too much detail on this former Dock Office and Harbourmaster House other than the fact that it was built in 1830 and then refurbished to its present condition to a pub in the 2000’s. There is a full architectural appraisal of the building on buildingsofireland.ie. As the title might suggest, this building was once a bank before becoming a pub in May of 2003. 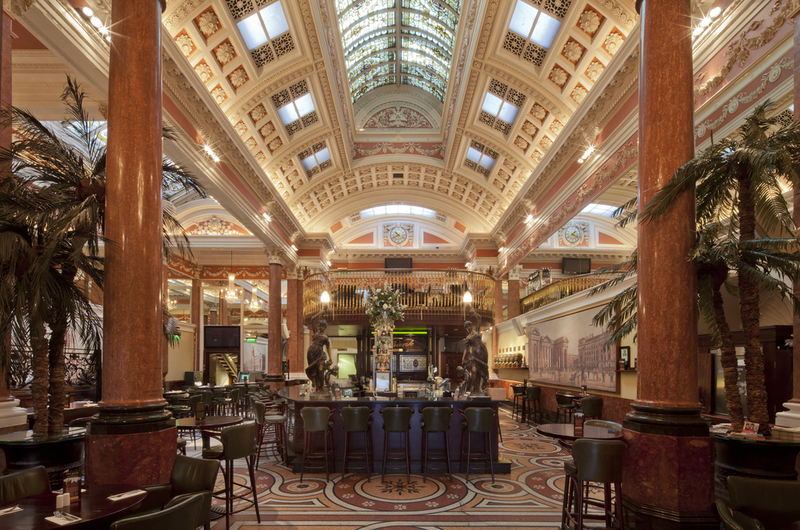 It’s definitely one of the most visually impressive buildings in the city and there are still plenty of clues as to the past life of this bar, including the vaults downstairs.